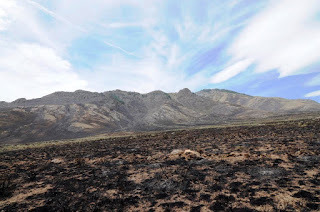 IDAHO FALLS, ID –Eastern Idaho Interagency Fire Center (EIIFC) resources are responding to two additional wildfires, which ignited the afternoon of July 5, 2016. Rapid Creek Fire – The Rapid Creek Fire is located approximately three miles northeast of Inkom, Idaho. Several resources are on site including: 4 heavy engines, 1 light engine and 1 type 2 hand crew (Portneuf Fuels Crew). The fire is estimated to be around 200 acres and 20% contained. 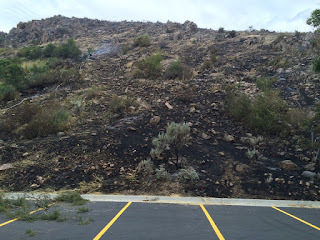 Fire investigators are on scene and are attributing the cause of the fire to fireworks. The Timbered Dome Fire started July 4, 2016 and is located approximately 5-miles west of Arco. Estimated size is at 2,000-acres. It is currently 20% contained. The incident commander expects to reach containment July 7, 2016 at 10:00 p.m. with control time estimated at 8:00 p.m. on July 9, 2016. Current resources on the fire include six engines, three dozers, one 20-person hand crew and one water tender. Two additional engines, one dozer and two 20-person hand crews have been ordered. An Incident Command Post is set up near the fire. One helicopter is assisting with air operations during this operation period. Cause of the fire is still under investigation. moisture in the past 24-hours. No change in acreage. north-northwest of Thayne, WY. The fire has grown from 1.5 acres to 2.0 acres.